Is Microsoft Teasing MINECRAFT’s Steve For SUPER SMASH BROS. ULTIMATE? 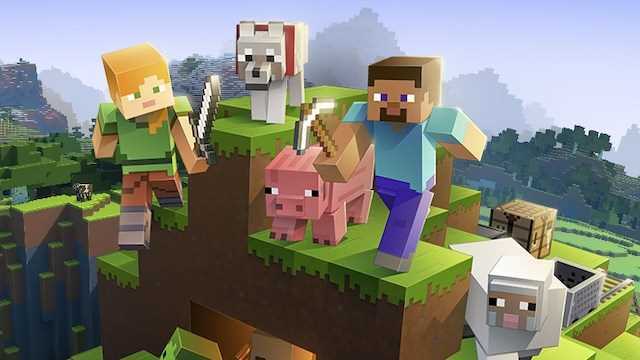 Could Microsoft be teasing an appearance by Steve from Minecraft on Nintendo's Super Smash Bros. Ultimate? Some fans think this could be the case after an intriguing tweet on Xbox Game Pass. A recent post on the Xbox Game Pass verified Twitter account has some fans of the Minecraft and Super Smash Bros. series very excited, as it could suggest that a character from Microsoft's popular sandbox game could be joining the roster of Nintendo's crossover fighting game. The speculation began on the 24th of January, during national compliment day, when the Xbox Game Pass Twitter account complimented Nintendo's Super Smash Bros. Ultimate, the latest entry in the acclaimed long-running crossover fighting series. While the tweet itself isn't very telling, it's the choice of words that has Minecraft and Super Smash Bros. fans believing this is a tease that would point to either Steve or Alex from the Minecraft series; all of this because they used the word “dig” in the tweet. Fans of the Super Smash Bros. series know that every time a new character is introduced, it's followed by a play on words that fits the character like “Bayonetta Gets Wicked”, “Cloud Storms Into Battle”, or “Ken Turns Up the Heat” — to name but a few. So Xbox Game Pass using the word “dig” could well be Microsoft actually teasing Minecraft characters joining Super Smash Bros. Ultimate. Super Smash Bros. Ultimate is currently available exclusively for the Nintendo Switch.